Who doesn't love chocolate? Anyone who has ever had Belgian chocolate knows it's absolutely delicious. This polish is perfectly named because it too is delicious! 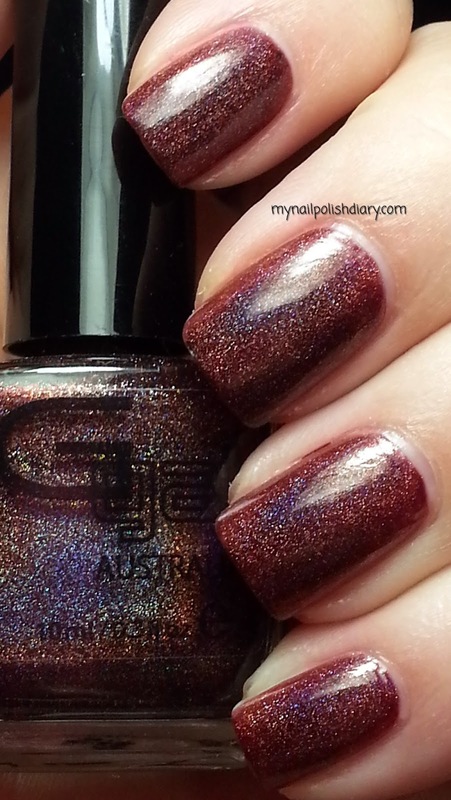 Glitter Gal Belgian Chocolate is a rich chocolate brown holographic. It's stunning in person. I absolutely love wearing this. It went perfect with my outfit today and looks dazzling. Application was really easy. You don't have to use Aqua Base coat because it applies just fine without it, but I always do. It enhances the holographic effect so much I just feel like it's part of wearing a holo polish whether it requires it or not. I used Sally Hansen Diamond Flash qdtc. It didn't seem to dull the holo effect hardly at all, and for the shine and longevity it was worth it for me. I just need top coat to feel finished I guess. 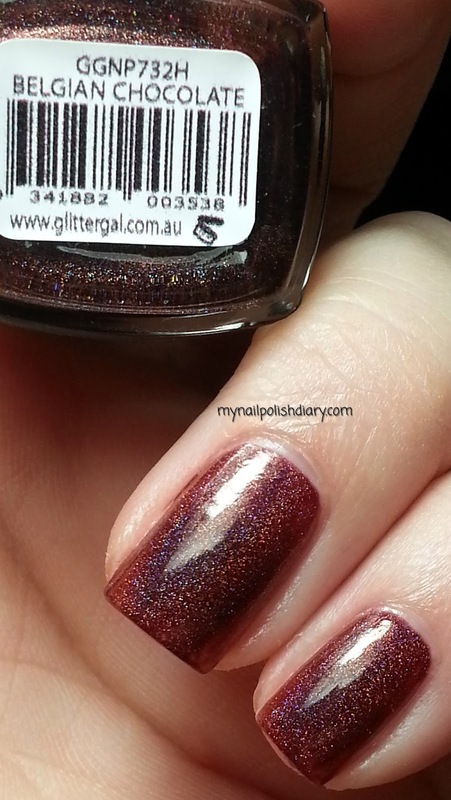 Glitter Gal is an Australian company. You can't buy their polish in stores in America, only online. I buy it from either llarowe or Color 4 Nails.